Purchased this in Log-On in Hong Kong. Can’t remember how much but I have seen this in Body Care for around £3-4 a box. Reducing dark eye circles are the reason I have purchased this. I didn’t really have high hopes for this but it is worth a try! In each box, there are 4-6 packets (can’t remember). And in each packet, there is a pair of eye masks. It’s like a cotton pad with the treatment on one side. The cotton pad isn’t drenched in treatment and doesn’t drip when applied. I’ve used it all up by using one treatment a week. Must say, it doesn’t really do the job in reducing my dark eye circles. However I do like the cool feeling it has once this is applied onto the eye area and adheres well. The cooling sensation slightly helps with de-puffing the eye area but the cooling feeling doesn’t last long. Only a few minutes. These are left on for half an hour or overnight for 6 hours. I tried it overnight but it’s disappeared when I wake up as I have the tendency to unintentional rub my eyes while I sleep. 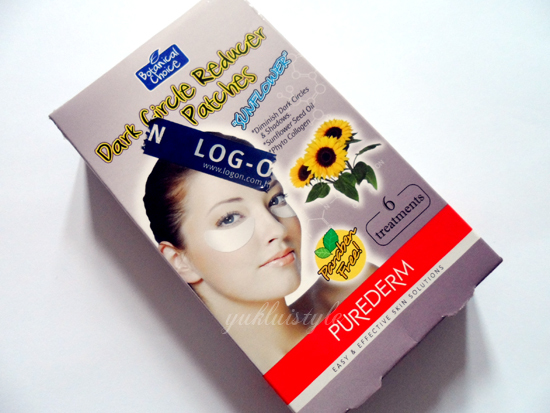 When the timing is up, you can easily remove this without tugging the sensitive eye area. Eye area feels smoother and that’s about it. There is a little bit of residue left but it will be absorbed. There is a sunflower oil smell if you put your nose next to it but generally, there is no scent. To be honest, I wouldn’t purchase this again. 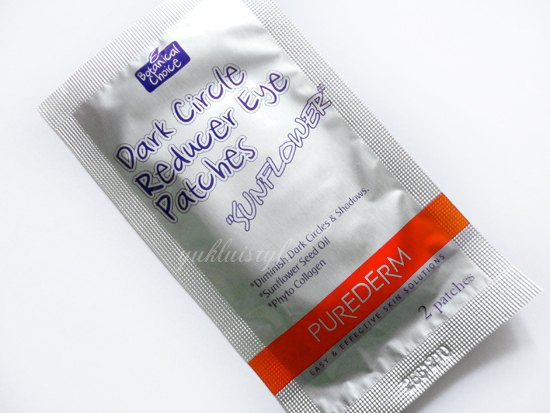 The road in searching for the best product in reducing dark under eye circles still continues. i think i saw it somewhere before.. thanks for the review, wont buy it! Very impressive article. Great information is provide to choose the Skin Care Products to treat them in natual way.